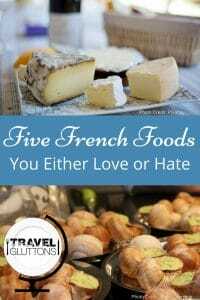 Food is an important thing in France but we don’t always have common favourite foods. Some won’t ever try a bite of what others love and claim as the most delicious dish in the world. 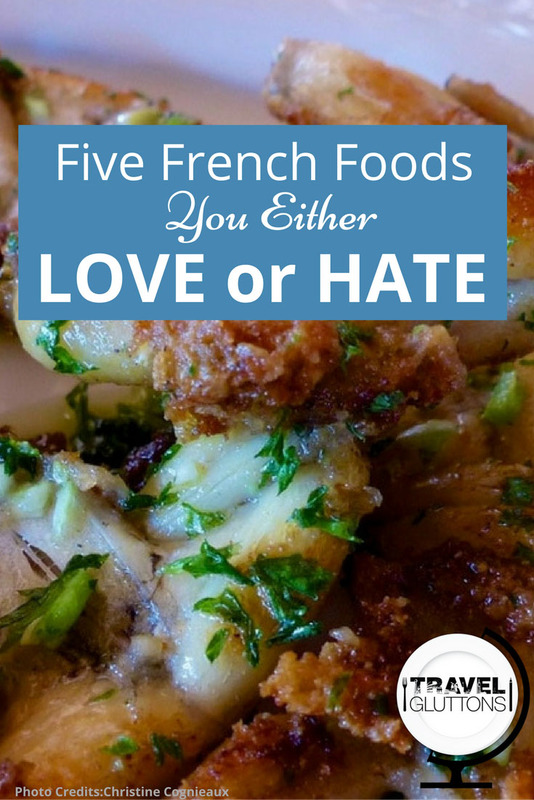 Here are some polarising French foods that you either love or hate. Are you a fan…or not? Oysters are generally very appreciated in France. We have an important oyster production, especially in the West of France. 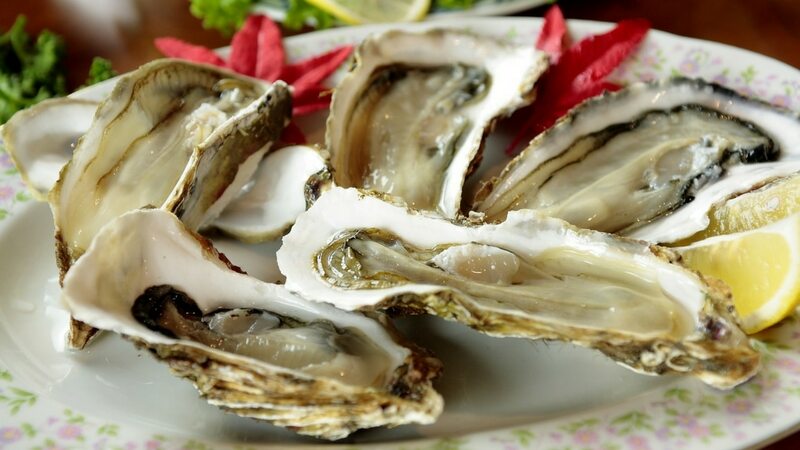 Oysters provide you vitamins (especially B12), minerals (iron, iodine, phosphorus, potassium, sodium), trace elements (selenium, copper, zinc, manganese), and Omega 3. The richness of proteins (6g/100g) is also an interesting fact, all the more they are low in calories (70 kcal or even 57kcal/100 g) and cholesterol. 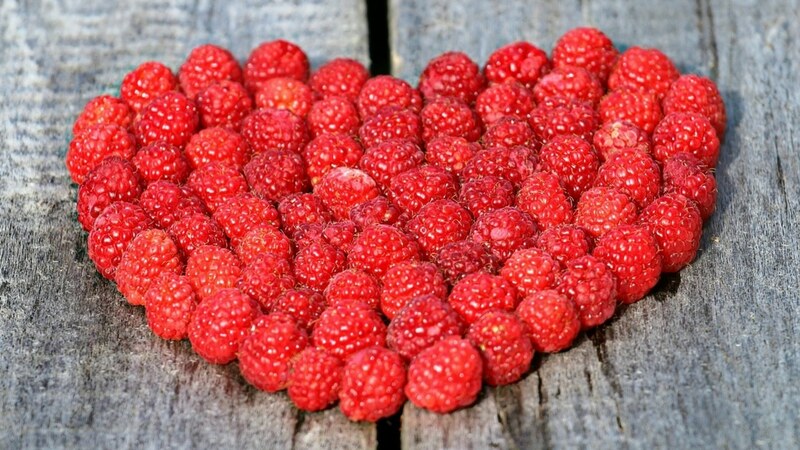 The benefits that are attributed to them range from cardiovascular protection to reducing colorectal cancer. Oysters can even help those who want to lose weight. As you eat them during special occasions (such as Christmas, New Year, holidays,..), they are also synonyms of good memories. But the aficionados of oysters won’t even bat an eye. Whose side will you be on? The andouillette and the andouille are similar: they are both made from pork tripe cut into small pieces, cooked with spices and salt, and stuffed into pork entrails. The andouillette has to be cooked and is eaten warm like a sausage, preferably well broiled: barbecue is a very good option for the fans. The andouille is cooked and smoked with beech wood. You’ll eat it cold like a saucisson, cut into thin slices. It can also be eaten warm with a puree but it is not so common nowadays. The most known are from Guéméné (Brittany) and Vire (Normandy). The difference between them is mainly their composition and consistency. 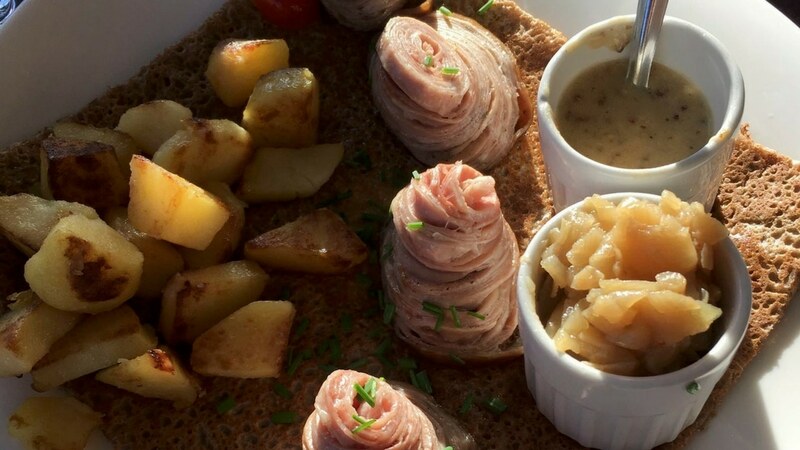 The authentic and hand-made andouillette (and andouille) has its own association to defend this French speciality and the idea of “eating with pleasure”. Pork butchers, cooks, and gastronomic journalists form the Association Amicale des Amateurs des Andouillettes Authentiques, called “5 A“. It awards diplomas to the best andouillettes and andouilles made by cooks or pork butchers. 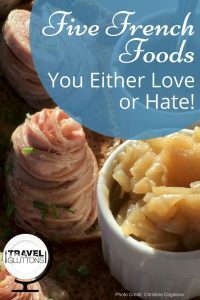 Andouille and andouillette are not really lean dishes but among the cooked meats, they are not so fat: less than 20% of lipids. They also contain vitamins (especially B12), minerals (iron, phosphorus), and trace elements (selenium, copper, zinc). They are also associated with joie de vivre, sharing, and good times. But…the adversaries will remind you that the smell makes andouille and andouillette too pungent to eat. They’ll also object that they don’t eat that part of the animals and they won’t even try. Just like other cooked pork, it contains lots of sodium so you’ll want to be careful with it. The amount of cholesterol is also an argument against the andouillette, especially if you eat it with French fries. For some of us, it’s a great experience to savor snails cooked with butter, garlic, and parsley. Or you can eat them the Provençal way – with olive oil, shallots, onions, bacon, stock, and tomatoes. Depending on how you cook them, snails are normally low in calories. They contain lots of proteins, a few lipids (no cholesterol), and are low in carbohydrates. Moreover, snails also contain iron, calcium, magnesium, and some vitamins (A, C, D) that will make a good diet. The snail eaters also argue that the percentages of proteins and iron are higher in snails than in beef! French people don’t eat snails often. Snails are associated with special occasions. It is usually also a real rite, with the special forks and pliers to eat snails. But…the opposing party will retort that you are consuming a lot of frozen or canned snails, that are mostly from East Europe. 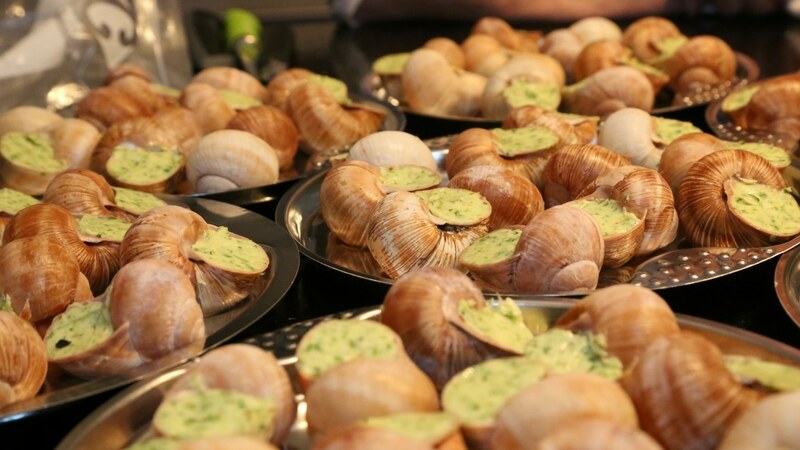 The “escargot de Bourgogne” remains only a name and the recipe! And they will argue that all the butter used to cook snail cannot be good for you. The texture is also a problem for the opposing party: snails are less firm than oysters but with also viscous parts. And they may ask: how can you eat something you were so happy to discover as a child and that you let crawl in your own hand? French people are named froggies by the British because we eat that type of dish and they find that disgusting. It was a tradition to eat frogs’ legs (numerous of them) and it is a declining tradition nowadays due to factors such as pollution and changes in habits. 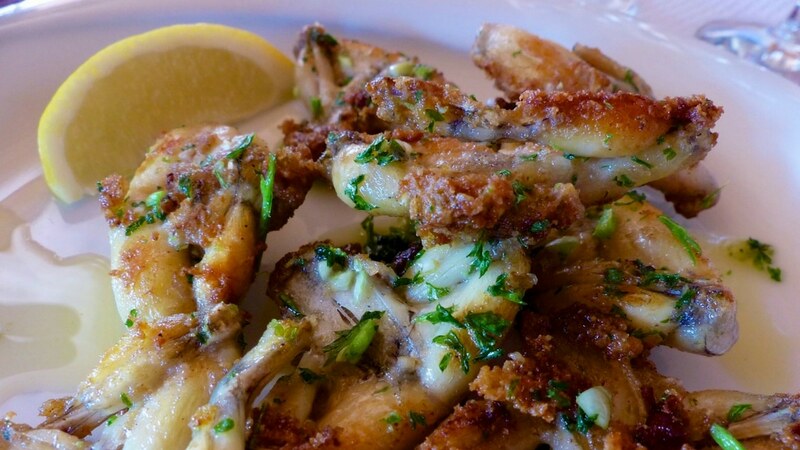 In France, frogs’ legs now come from frog farms that are mainly from Eastern Europe. You can buy them fresh or frozen. Frogs’ legs have their own fans. They say they taste like chicken, have an interesting percentage of proteins (16g/100g), and originally contain no lipids. A lot of recipes exist and delight the food lovers. But…frogs’ legs don’t look very attractive for the non fans. Also, frogs are very often associated to toads, which make them seem all the more disgusting. Some may argue about the lack of taste. Yes, a lot of French eat cheese. The variety and number of cheeses are our national pride. 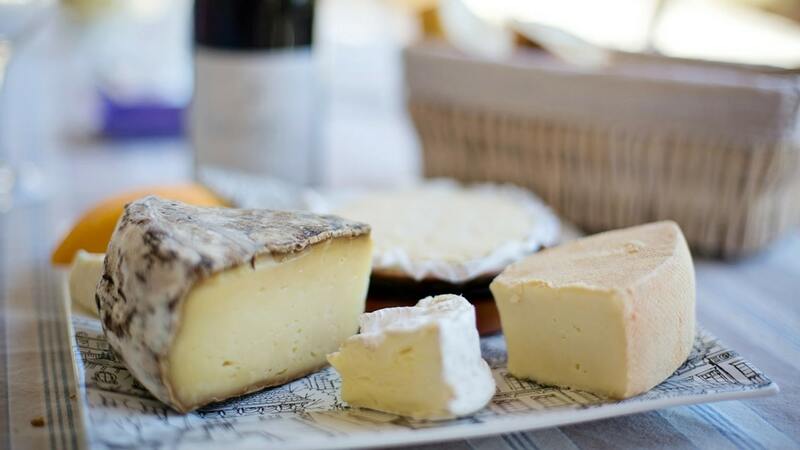 But…not all the French people are fans of cheese: 6% said they hate cheese in a recent survey (CNRS – October 2016)! For example, blue cheese can provoke a real disgust to some of us. Also, some cheeses such as a mature camembert or reblochon really stink. Even if you know that the taste is not automatically linked to the pungency, it can still be challenging to taste certain cheeses. There is a lot to discover in France in any season. Coast, high mountains, forest, big cities, quiet villages, natural landscapes, culture events, and more. Food is also an important thing and every region has its own food specialty to thrill you. Charles de Gaulle (CDG) and Orly (ORY) are the two main airports serving Paris, both with public transport links into the city. Many other major cities have flights from and to European cities. Gare du Nord, the north rail station, is one of the busiest in Europe and welcomes arrivals from Belgium, Germany, the Netherlands, and the United Kingdom. Getting around by public transport is easy and fast. The High-Speed Train (TGV) system covers most of France. Renting a car will allow you to go to all places. For a tighter budget, buses are also a good and safe option. For more information about France, check out the webpage of the French Tourism Board. The site of France Tourism is also a great start to organizing your trip. 2 Responses to "Five French Foods You Either Love or Hate"
Love, hate, love, love, love! I guess that means I could live there! And so much other food to taste! I hope you already had the occasion to go there or maybe one of your next destination?